Congratulations, to be a part of indoor gardeners. We also appreciate your decision to grow hydroponic plants indoor. If you can provide the best climate, you will get the highest output from the hydroponic plants. But you need a top-quality hydroponic grow tent as like iPower hydroponic grow tent to create the suitable climate. You need to control the light, wind, and overall climate if you are involved with indoor gardening. Right? If you need to grow plants under a tent, the tent should have the capacity to control them. You can buy the grow tent after confirming that you will get the highest advantage & best performance from it. Let’s see which features it contains that inspire me to buy this tent or not! Do grow tents repels pests? What is a hydroponic tent? Can I grow any indoor plants using hydroponic grow tent? Do I need a fan in a grow tent? Can I use this tent in any space? The tent comes with a complete package. It contains all the items which may need to you. On the side, it is a top class grow tent regarding structural framework and performances. Its performance, durability, strength really surprise you. Just take a look below. The tent is 100% light proof. The lights usually go outside from the tent through the stitches and zipper. But the tightly-bonded stitches and heavy-duty zippers prevent light to go outside. Rather, the interior surface of the tent is smooth and glossy that increases the light intensity. So, the capacity of controlling light is in your hand. Sturdy structure is not necessary for grow tent only, it is necessary for all the structures also. You may need to hang lights and other necessary tools inside the tent. That is why it needs to be strong. The framework of the tent is made from heavy-duty steel which gives a strong and sturdy structure. So, there is no problem of hanging lights and other necessary things. 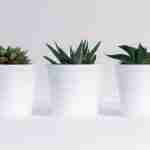 Your plants may get damaged because of pests. You should control them. Maybe you used electric devices or chemical to control pests. But the tent repels pests from the inside and doesn’t allow. So, your plants are fully safe from pest infestation. Most of the gardeners think about the cleaning process of a tent. 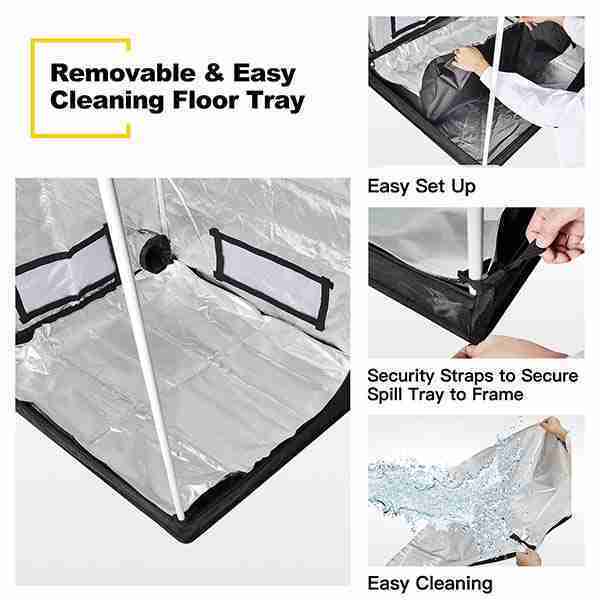 Some of the tents come with ordinary floor pan which is not waterproof and difficult to clean. It is really a difficult task. 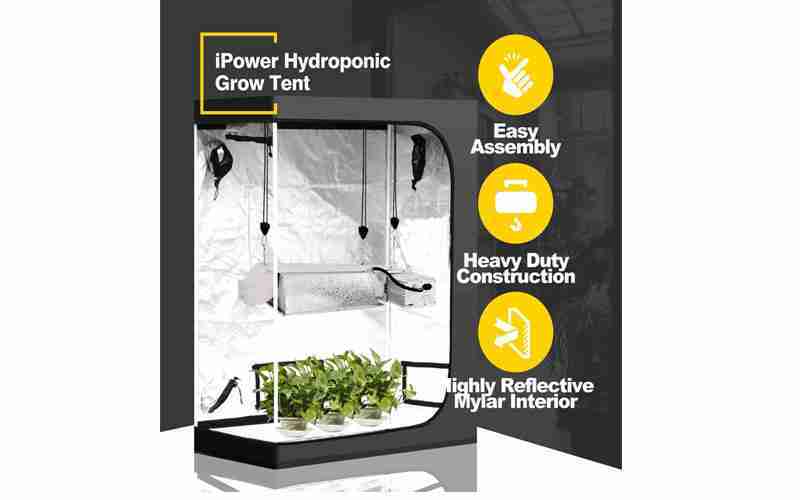 But this ipower Mylar Hydroponic grow tent comes with waterproof floor pan. So, it never gets damp by water and it is very easy to clean. Durability is an important feature for any product. 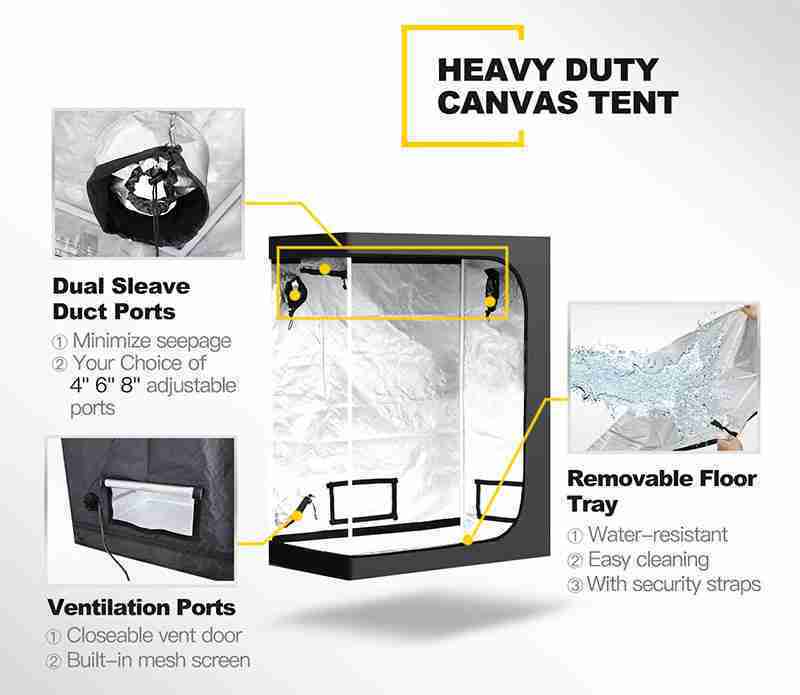 The tent is enough thick and the interior contains 95% mylar layer. This mylar layer helps in lighting up to 97% lights return back to the plants. This layer doesn’t get damaged even after long term use. All the construction materials are high in quality and they are promises to deliver the best performance for a long period of time. It is difficult to get the highest advantage from any product if that is not devoid of difficult assembly and operation. 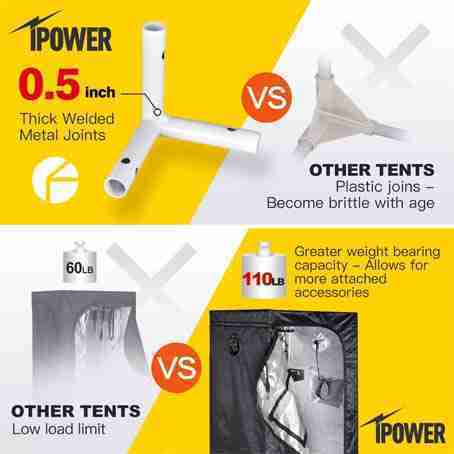 Keeping this thing in mind the manufacturer makes the tent as a way to let you assemble easily. Not only that, the tent can be used anywhere whether that is a greenhouse, condominium, apartment, or any space. A user-friendly manual also comes with the package and assembly of the tent is very easy with the help of manual. Easy assembly ensures easy use. Removable waterproof mylar floor tray. 48″x 24″x 60″ grow tent. The tent can keep the 100% light inside. You need someone to adjust height. Definitely. The light will produce heat inside the tent and the pests cannot survive inside. Finally, they cannot harm your plants. A hydroponic grow tent is used to give the optimum temperature and light to the indoor hydroponic garden. 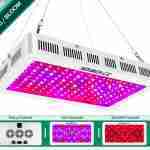 It mainly enhances the effectiveness of grow lights. A hydroponic grow tent can control the climate you know. So, you can grow almost all the indoor plants around the year. Benefit? You may use a fan in a grow tent but that is not enough. You exactly need an air extractor which is good for your indoor plants. Yes. You can use this tent anywhere anytime. Its size is medium and really perfect. So, you can easily use it in your apartment, building, greenhouse project, or anywhere. You definitely have the good feelings to be a part of indoor gardener we think. And you feel more pleasure if you get the best output from your indoor hydroponic plants. But, obtaining the best result without hydroponic grow tent is really difficult. That is why it is best to use it. In this guide, we recommend you the best quality hydroponic grow tent that will really help you. If you want to get a good quality tent for your indoor hydroponic plants, iPower hydroponic grow tent can be the best choice for you.